When a struggling Royal Bank of Scotland asked for bids last year for its 79-branch network in Pakistan—acquired as part of ABN AMRO in 2007—it had no idea it would be setting off a fracas that could shake the country’s banking industry. 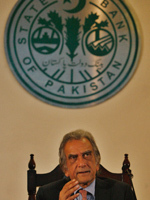 But the June 13 deal to sell the branches to Faysal Bank for $51 million has left a residue of lawsuits and acrimony between one of the country’s largest industrialist/financiers and the State Bank of Pakistan that will take some time to subside. The first bank to make an offer was Muslim Commercial Bank, a local institution owned by Mian Mansha, one of the country’s leading financiers. RBS and the market assumed it was a done deal. It would have catapulted MCB to the top echelon of Pakistani banks. The deal needed the approval of the State Bank of Pakistan (the central bank and key banking regulator). But the State Bank made the deal conditional on MCB’s depositing the RBS shares with the State Bank. It said it was concerned that MCB would seek to fund the purchase by borrowing against the RBS shares. 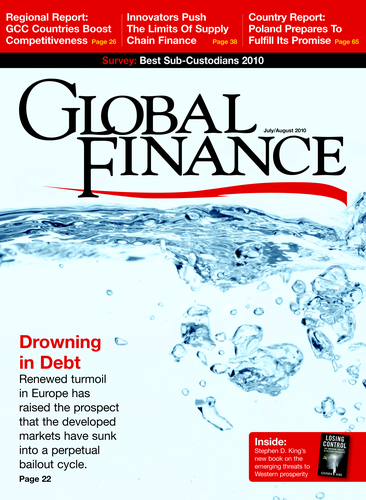 This provoked a bitter war of words between Mansha and the then governor of the central bank, Syed Salim Raza, followed by a series of lawsuits, still unresolved, to seek to have the condition ruled unlawful. One local banker said the central bank had concerns about Mansha’s suitability to own the bank. A third said that the spat reflected a legacy of unease that followed Macha’s role in the privatization of Muslim Commercial Bank. Faysal Bank, a Bahraini- owned institution, is paying significantly less than the $90 million offered by MCB. Local sources are concerned that this puts a low valuation on Pakistani banking assets, whose prospects have already been dented by the Taliban insurgency in neighbouring Afghanistan and political instability at home. The outlook for the former RBS network is also uncertain. Some expect the new shariah-compliant owners to convert the RBS network into an Islamic bank.